Cultural Road Tripping Around Ireland For History Buffs! If you’re a self confessed history buff, who is interested in traveling the emerald isle in order to visit some of Ireland’s most significant historical attractions, simply continue reading to discover a few sites, which are well worth adding to your itinerary. If you plan on visiting Cork, it’s well worth attempting to kiss the Stone of Eloquence which is better known as the Blarney Stone and is several hundred years old. In order to kiss the world’s most famous block of limestone, you’ll have to lean backwards over a safety railing in order to reach the stone which is set in a medieval wall. As the saying legend goes if you manage to kiss the Blarney Stone, you’ll be given the gift of eloquence. 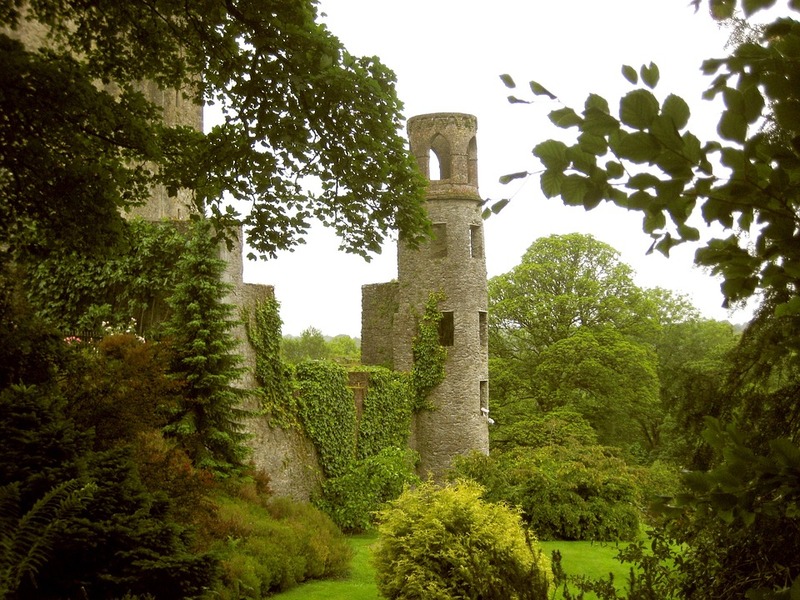 While the Blarney Stone is an iconic Irish treasure it was originally part of a larger stone which Scottish royalty used to help predict royal succession. After an Irish king Cormac McCarthy who was the king of Munster, sent troops to help Scottish legend Robert the Bruce defeat the British in 1314, the Blarney Stone was sent to Ireland from Robert the Bruce as a gift. Carrickfergus Castle is located in Northern Ireland and was initially built in 1117 by John de Courcy. A man who ruled as a petty king from 1777, when he conquered eastern Ulster till 1024 when he was himself defeated by Hugh de Lancy. Carrickfergus Castle is almost surrounded by sea and offers great views of Blefast Lough, which used to be named Carrickfergus Bay. Since it was built Carrickfergus Castle has been taken over by the British, the Scottish and the French. Which means that it’s the perfect destination for history buffs who are keen to learn about Ireland’s rich history. The Rock of Cashel is one of Ireland’s most popular tourist attractions and is an archeological site which boasts remains of buildings which were erected in the 5th century AD. Although the complex also boasts beautifully maintained buildings which were built in the 12th and 13th centuries. Sometime during the 12th and 13th centuries, the Rock of Cashel, which was the seat of the high kings of Munster, was gifted to the church, where it remains today. So if you’re interested in viewing the remains of 5th century buildings as well as buildings and relics from the 12th and 13th centuries, it’s well worth adding a stop in County Tipperary to your Irish road trip. After touring the popular complex, it’s also worth walking around the historic town of Cashel, which boasts plenty of historic buildings to explore. As well as a wide array of stores and eateries! If you’re a self professed history buff, who is passionate about learning about foreign cultures, it’s well worth planning a whirlwind cultural tour of Ireland. So, pack up the car and don’t forget about having insurance during your travels! You can find many reliable companies like, Chill insurance just by looking up your options and finding recommendations online. You’ll enjoy all three of the fascinating historical attractions listed above. All of which will give you an insight into Ireland’s rich heritage.